talkhealth > Blog > 2013/10 > Sing, dance and tell. “Sing your song, dance your dance, tell your tale”- Anon. Today’s post is a little different to the one’s I usually write. I think it’s dawning on me that we can all stand tall and that we shouldn’t have to worry year upon year over something that’s out of our control. I know it’s a touchy subject to raise because I don’t live your life however what I do know is that there is a fighter inside of us all that must come out. This afternoon whilst my husband watched the football I decided it only right to get out of the way and watched something else. Here I sat watching a period drama in which men, women and children in the early 20th century were celebrating Christmas in a prestigious upper class household. The servants would stand playing party games in which they would all gather saying to each individual “Song, dance or Rhyme”. For many lower class persons the only real choices they had were the first two options the latter wasn’t really an option. For those who were fortunate to be literate their mouths remained shut out of fear they would lose their job or not be accepted as a person within their own class. The quote that has been chosen today is something I’ve found to be a worry within the Epilepsy community. Like you all advocating for your causes I decided it was only right to add the first photo of Sazzle’s blog. I’m not technical in the slightest so I’m hoping the bugger saves! In true wartime fashion I thought it would be apt to channel my cause and instead of saying “Keep calm and squat on” that I would say to you all “Keep calm and support Epilepsy”. 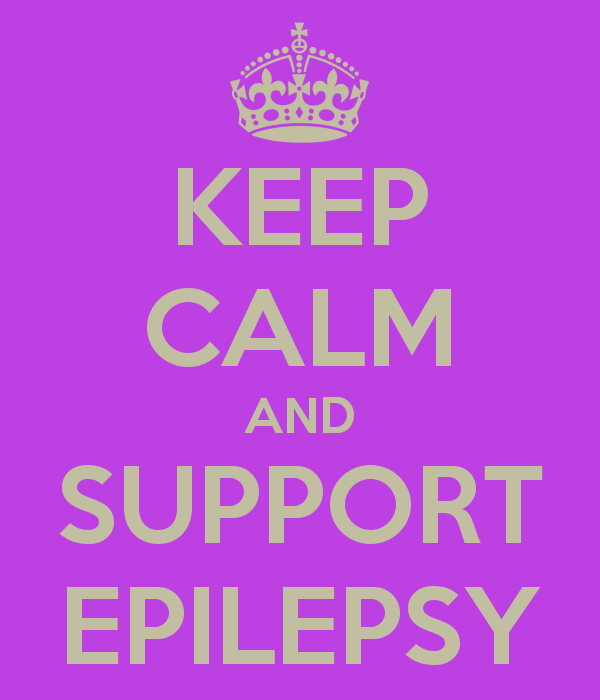 Epilepsy effects over 65 million people across the world in which a minority are ignorant to the condition we endure as individuals, parents, friends and loved ones of the person involved. Whether it be at home, in the workplace or walking along the street minding our own business the concern arises as to how you can be perceived to others. Unlike their own problems that may not be on display for all to see Epilepsy is a condition that unfortunately results in lack of sensation, lack of seizure control and numbness to say the least. It’s a condition that show’s it’s face on a daily basis and unfortunately doesn’t give you the warning signs you so desperately crave when an episode does hit. Words at time cannot express my anger towards the people that back you into a corner and that make you feel worthless. You don’t need to feel degraded by anyone nor should you have to constantly justify your battles with Epilepsy to people you feel uncomfortable around. You should however realise that by telling your story can enable others with the same condition to want more for themselves and to see that if you can do it then so can they. As I read the magnificent work from the people I have had the opportunity to chat to I can see that sometimes the only way we get to reveal our feelings is through the blogs we write, the charitable events we do and the talks amongst ourselves we have. Unfortunately the one thing that a number of people fail to see is the anxieties we have to endure when Epilepsy truly takes hold. You know and I know how that feels therefore I won’t elaborate any more than necessary. After being seizure free for 4 and a half years I am now in a place where I’ve been before only this time I’m a little older and dare I say a little wiser. Although prominently placed at the back of my mind my fears of my seizures returning is not such a concern that it was once was. This is because I know that I’ve succeeded for the 4 and a half years the seizures didn’t make an appearance. Ideally I would have not had the shakes either however as you are all aware this is a part of my condition that nine years into my 20 year cycle I’ve started to accept as the norm. What I would like to say this evening is that each and every one of you have never judged who I was, have never sat there and given me cause for concern and have made me see that irrespective of the medication side effects and the down days that we all capable of standing tall against the stigma and the worry that can surround us. Unlike the person I perceived myself to be a couple of years ago I know now that I’m capable of being that happy go lucky person I want to be without the unrealistic expectations I once burdened myself with. It’s not about trying to prove a point and show others that because you have a condition that you can’t have it all. I know in myself that I have it all right now. As much as we would all want that little extra luxury in our lives I know that I’m starting to become comfortable with who Saz is and that because of the people I surround myself with that I’m becoming the stronger person that I have longed to be. Before I start whittering about the weekend read this and know that we are all here to help one another. You’re bound to have stumbles along the way however who doesn’t? Just because others walk taller than most some days doesn’t necessarily mean that they don’t have the world on their shoulders as you do yours. They can just hide it that bit better. You are a magnificent person within yourself therefore give yourself recognition and be who you want to be. The weekend has been another relaxing one with me talking and Dad listening. Spending time with Dad makes me see how valuable his input is in my life and how one person can make the day go ever so smoothly. It was my mam’s birthday and seeing her made me think about the times we’ve shared and the birthday’s we’ve had together. My husband on the other hand is someone that keep’s me laughing and this weekend was no different what with his eating me out of house and home and spilling alcohol all over my carpet! Nevermind I spilt a glass of orange juice on the floor last night without him noticing therefore I’m just as bad! Exercise. Going well and extremely sore. Today I did a double of slim in 6. It should have been called sore in 6 because the pain up the occasional pains don’t half hurt! Frozen peas time! It’s an excuse for me to have a mid afternoon snooze to say the least! Food wise dare I say it? I’ve cooked yet another chicken! Come pay day it’s all about the brisket therefore I’m preparing my recipes in advance to broaden my horizons and shine on my culinary skills. To conclude today’s post. Song, dance or tale in our case. When I say tale I say tell your story if you feel up to it and see what response you get. You may never know what response you receive however at least you’ve said what you needed to say. Never try to be a second rate version of yourself to accommodate others because that’s not who you should be. Do they do it for you? If the answer’s no then why should you change your way of thinking for them? You’re opinion is just as valuable as the next. Don’t give up just because of what someone has said. Use that as motivation to push harder than ever before. With me I’ve had questions for years I’ve always wanted to address however never had the courage to out of fear I’d be shot down in flames. Telling my story through Sazzle’s blog has shown me that you shouldn’t be as singled out as you think you are. There are people out there who support you, that care and who may give you the answers you’ve longed for. As for the rest well.. do you really want them in your life? I think not.